The camaraderie, relationships and education from the 2018 PCMA European Influencers Summit in Seville, Spain can continue long after this year’s event has ended. Continue your influential experience by helping us build our 2019 program. 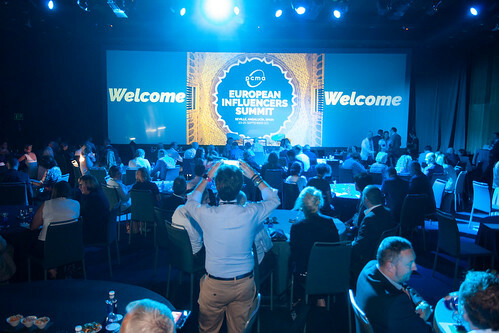 Tell us by 8 Oct. 2018 what you want more of or would like to see at future European Influencer Summits. SPEAKER HIGHLIGHT: Kjell Nordström, Ph.D.
Read more about Nordström on PCMA Convene. See the connections you made and the opportunities you might have missed by clicking the “Forgot Password” button at https://portal.proxfinity.net. Reset your password and log into the site. Confirm and save your personal settings. Click on the PCMA-European Influencers Summit 2018 button. Choose the CONNECTIONS button on the left menu bar to view your match data. Export your data by clicking the mail icon on the top right of the dashboard. Stay updated on the latest industry news. Sign up for PCMA’s weekly Communiqué newsletter below.